Spring is just around the corner and it is time to inventory the foods you have on hand in your pantry and freezer. Lean tips and tricks on using what you have so you will have room for the new seasonal foods and avoid waste. A well-stocked pantry is like an over-sized tool-box of your recipes. 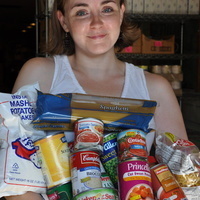 The workshop will also include tips on planning your emergency food supply so you will be prepared. Lots of sampling and hands-on activities. The class will be held on Saturday, March 2 2019, 10:00 AM.- 2:00 PM at the Community of Christ Church, 1485 Gilham Road, Eugene.